Draft: 2011, St. Louis Cardinals, 1st rd. 2008 graduate of Kamehameha-Hawaii in Kea'au, Hawaii...Lettered in both football and baseball...Named 2008 Hawaii State co-player of the year in baseball...Played college baseball at the University of Hawaii and was teammates with Greg Garcia...Named Baseball America Third Team All-American and ABCA First Team All-American in 2011...Was a three-time First Team All-Western Athletic Conference selection…led the WAC with 23 stolen bases in 2011 and was 53-71 in his career...2010 Cape Cod League MVP and WAC Tournament MVP leading the Rainbows to first tournament title since 1992...Became the 16th position player born in the state of Hawaii to appear in the majors and the first since Kila Ka'aihue who debuted in 2008 with Kansas City...Comes from an athletic family: his father, Kaha Wong, was a former baseball player at the University of Southern California (1985-86); his sister Kiani Wong was an outfielder on the University of Hawaii softball team; and his brother Kean Wong, an infielder in the Tampa Bay Rays organization, hit a walkoff home run for Durham (AAA) against the Memphis Redbirds in the 2017 Triple-A National Championship Game...Kolten's wife, Alissa, is a former Women's Track & Field athlete at the University of Hawaii...Resides in Hilo, Hawaii. Rawlings Gold Glove Award finalist at second base and won Fielding Bible Award as the majors top defensive second baseman...Led all MLB second baseman in ultimate zone rating (13.4), defensive runs against average (15.0), and 19 defensive runs saved (Fangraphs)...Hit two walk-off home runs (5/5 vs. CHI off Luke Farrell in 10th inn. & 6/2 vs. PIT off Richard Rodriguez)...Has four regular season walk-off home runs in his career. Three of his four regular season walk-off HR have come vs. the Pirates...Ranked T-8th in the National League with 14 hit by pitch, the second highest total of his career...Has been hit by pitch 50 times since the start of the 2015 season, 6th among National Leaguers...Collected four bunt hits, T-2nd on the Cardinals...Batted .317 (39-123) post All-Star Break, 2nd on the Cardinals and 11th in the N.L....Batted lead-off for first time in 2018 at ATL (9/19) & first time since 9/19/17 (batted leadoff 14 times in 2017)...Missed nine games on the disabled list with a left hamstring strain (8/26-9/4) suffered while running to first at COL (8/25)...Batted .362 (21-58) in August, T-4th in National League...Recorded his 200th career RBI at COL (8/24)...Collected 500th career hit vs. MIL (8/18)...Scored in 4 straight games vs. WSH (8/13-16)...Was 3-for-3 with a HR (#8), double and season-high 3 RBI vs. WSH (8/14) reaching base safely four times...Had 17 hits in July, including 15 in road games, ranking 3rd in the N.L....Logged four straight multi-hit games (w/ 2+ PA) from 7/57/7 and 7/10...Tied his career-high with four hits (last: 8/10/14) and homered (#7) at CWS (7/10), his first HR off a LHP in 2018, and a bunt single...Was 2-for-3 with a double, triple (3rd career game w/2B & 3B) & 2 RBI at SF (7/6). Was his 19th career triple, most by any Cardinal since 2014...Was hit by pitch twice vs. CLE (6/27), the second game which he was HBP twice in '18. First Cardinal since Jon Jay (2015). Ranked T-2nd in MLB in multiple-HBP games (Brandon Nimmo, NYM, 4). Played in 108 games, starting 99 games at second base. Missed over 40 games due to injuries ... Posted career-highs with a .285 batting average, .376 on-base percentage and 41 walks ... Led the Cardinals with 11 intentional walks, ranking T11th in the National League ... Was hit by pitch a team-high 12 times, his second-highest total, ranking T10th in the N.L ... Ranked 2nd on Cardinals with 16 infield hits and led the club with four bunt hits (T10th N.L.) ... Missed 11 games (5/27-6/6) with a left elbow injury and 24 games (6/15-7/13) with right tricep injury. Did not play the final six games of the regular season (back tightness) ... Batted .347 (35-101) in the month of August, ranking 9th in the N.L. in batting, T3rd with nine doubles and ranked 2nd on the Cardinals with 18 RBI ... Ran off a career-high 13-game hitting streak (4/23-5/8) batting .353 (18-51) during the run, ranking as the 3rd-longest hit streak by a Cardinal in 2017 ... Ranked T2nd on the Cardinals with 27 doubles, one shy of his career high (28 in 2015) ... Batted .358 (19-53) in Interleague contests with 3 HR, 10 RBI and a 1.080 OPS ... Batted .339 at Busch Stadium and .237 on the road ... Did not go multiple games without a hit from 4/17-5/19 and 7/30-8/27 ... Hit 2 of his 4 home runs during three-game series (8/25-27) vs. Tampa Bay with an RBI in all 3 games. Was the Cardinals Opening Day second baseman for the third straight season and played in 121 games...Led the team with a career-high seven triples, ranking T8th in the National League...Ranked T1st in MLB with three triples during the month of September...Hit two triples at LAD (5/13), the first Cardinals player with two triples since Colby Rasmus (5/27/11 at COL). Was one of 16 players in MLB with two triples in a game in 2016...Led all MLB pinch-hitters with a .400 BA (8-20). Hit a pinch-hit home run vs. ATL (8/6) off Roberto Hernandez, his 2nd career pinch-hit home run...Tied for the team lead with seven stolen bases and was a perfect 7-for-7 in steal attempts...Was optioned to Triple-A following the game on 6/5 vs. SF and recalled on 6/18. 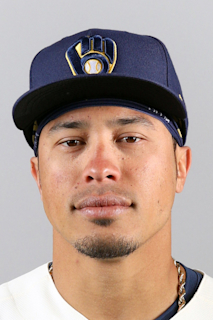 Batted .429 with 4 HR and 11 RBI in seven games at Memphis (AAA), including two multi-home run games and a walk-off grand slam vs. Colorado Springs on 6/9...Made his first MLB start in the outfield (CF) on 6/18 vs. TEX following recall. Made 79 starts at three different positions (69-2B, 7-CF, 3-LF) during the season...Hit safely in 12 of his last 18 games (16-64, 3 HR) and hit four of his five home runs on the season in his last 36 games...Had two three-hit games (4/9 at ATL & 7/29 at MIA)...Had game-winning RBI on a sac fly at SF (9/17) in the top of the 9th in a 3-2 Cardinals win. Played his first full season at the Major League level, appearing in 150 games, starting 147. It was the most games played by a Cardinals everyday second baseman since Fernando Vina played in 150 at second base in 2002…Hit 11 home runs to become the first Cardinals second baseman with back-to-back years hitting 10 or more home runs since Frankie Frisch did so in 1927-28…His 11 home runs ranked 3rd among N.L. second basemen and 60 RBI ranked 4th…Was hit by pitch a team-high 15 times, ranking 4th-most in the N.L…Recorded 10 game-winning RBI, the 3rd-most for STL and ranked T23rd in the National League…Tallied 100 hits for the second straight season and his146 hits ranked 4th on the team…Led the team with 25 two-out RBI with five of his home runs coming with two outs…Recorded a career-high 9-game hitting streak in May (5/17-25, .368)…Had a career-high 43 extra-base hits and 40 multi-hit games…Was 2nd on the team with 15 stolen bases…Batted leadoff in 51 games and reached base in 43 of those. Hit his first MLB leadoff home run on 5/27 vs. ARI…Walked a career-high three times vs. MIL (4/13)…Led MLB second basemen with 312 putouts, ranked 4th in N.L. in double plays (107) and had a team-high 19 defensive gems…Recorded a career-high 10 assists on 4/29 vs. PHI…Batted .318 in May with a .509 slugging pct. & five home runs (5 HR tied career monthly high, July 2014)… Hit his second career walk-off home run in the 14th inning on 5/3 vs. PIT (both walk-off HR have come vs. PIT)…Tied the game at 1-1 with a home run in the 13th 7/19 vs. NYM; the Mets won 3-1 in 18 inn…Hit his 2nd career grand slam in a 4-1 win on 7/27 vs. CIN…Batted No. 3 for the 1st time in his MLB career on 7/30 and went 2-for-4. Batted 3rd in 4-straight games (7/30-8/2)…Missed 4 games 9/8-11 with a left calf strain. Began the season on the Opening Day roster and played in 113 games in St. Louis. Played 18 games in Memphis (AAA)...Led team with 20 stolen bases, the most by a Cardinals player since Cesar Izturis (24) in 2008...Hit 12 home runs, becoming the youngest Cardinals second baseman to hit 10 or more home runs in a season since Rogers Hornsby hit 21 HR in 1921 at age 25...Hit first MLB home run, which was a grand slam, vs. KC (6/2) off James Shields. Became the first Cardinals player to hit a grand slam as his first HR since Jake Westbrook (2011), first second baseman since Felipe Lopez (2010) and rookie second baseman since Bo Hart (2003). Became the 12th youngest Cardinal to hit a grand slam (23 years, 236 days). Was the only Cardinals grand slam in 2014...Became the first Cardinals rookie since Colby Rasmus (2009) to tally 100 hits in a season...Batted .315 (23-73, 3 HR) vs. left-handed pitchers. Had 10 HR, 30 RBI and 14 SB in Cardinals wins...Posted 25 multi-hit games and two four-hit games (5/28 vs. NYY & 8/10 at BAL)...Ranked 10th in the National League with a .341 BA with runners in scoring position and 2 outs...Had 28 two-out RBI, ranking 3rd for STL and T18th among all N.L. players. Batted .296 (34-115) with 2 outs...Started 100 games at second base and turned 70 double plays, 6th among NL 2nd basemen...Was optioned to Memphis (AAA) 4/27-5/14. Hit .344 (22-64) with 3 2Bs, 2 HRs and 10 RBI over 15 games, playing at second base each game...Voted National League Rookie of the Month in May, leading all N.L. rookies with a .333 BA. Was the first Cardinals rookie to win the award since Brian Barden in April of 2009...Placed on the 15-day disabled list with left shoulder soreness on 6/22, suffered after a diving catch in the field. Played three games at Memphis on a rehab assignment 7/1-6 (5-11, .455), coming off the DL on 7/6...Stole two bases in a game at CIN (5/25) and was successful in each of his first 10 career attempts...Had a .567 slugging percentage in July (T8th NL) and five home runs (T5th NL)...Smacked home runs in consecutive games three times (7/8-9 vs. PIT, 7/11-12 at MIL, 8/31-9/1 vs. CHI/PIT)...Hit 5 home runs over 7 days 7/6-12 after returning from the disabled list (.333, 8-24, 5 HR, 8 RBI, 1.000 slug)...Hit first career walk-off home run on 7/8 vs. PIT after Matt Adams had done so the prior game (7/7 vs. PIT)...Tallied his first multi-home run game vs. BOS (8/7) and scored a season-high three runs...Played in eight postseason games (3 NLDS, 5 NLCS)...Hit three postseason home runs, the most in MLB history by a rookie second baseman...Hit a walk-off home run in Game 2 of the NLCS (10/12) off Sergio Romo, the 4th walk-off home run in Cardinals postseason history joining Ozzie Smith (NLCS 5, 1985), Jim Edmonds (NLCS 6, 2004) and David Freese (WS 6, 2011)...It was also the 7th walk-off hit in Cardinals postseason history...The walk-off home run was the 4th in MLB history by a second baseman (Alfonso Soriano, Jeff Kent, Bill Mazeroski)...Hit a go-ahead/game-winning home run in NLDS Game 3 (10/6) vs. LAD off Scott Elbert...Recorded seven extra base hits in the postseason, the most in Cardinals history by a rookie and the most by a NL rookie second baseman...His 15 total bases in the NLCS were the most by a Cardinals second baseman surpassing Tom Herr (14, 1985)...Tripled and doubled in Game 3 of NLCS (10/14), the first Cardinal with multiple extra base hits since David Green (WS Game 5, 1982)...Became the first Cardinals rookie to log an extra base hit in three consecutive postseason at-bats (Game 2 NLCS HR; Game 3 NLCS 2B & 3B)...His .724 slugging percentage was the highest by a Cardinals second baseman and the highest by a Cardinals middle infielder since Pepper Martin (.792 in the 1931 World Series)...Recorded seven hits and all were extra base hits. Began the season in Memphis (AAA), playing 107 games, starting 102 at second base, before being purchased by St. Louis on 8/16 where he would remain the remainder of the season and throughout the playoffs... Made Major League debut at Wrigley Field vs. CHI (8/16), going 0-for-3 while starting at second base... Picked up his first Major League hit at MIL (8/19), an infield single against Marco Estrada. Was 2-for-5 with two stolen bases... Posted consecutive multi-hit games 8/19-20 at MIL, getting a season-high three hits, including a double, on 8/20. Five of his nine career hits are against Milwaukee... Was a perfect 3-for-3 in stolen base attempts in the majors... Appeared in 18 games at 2B, starting 10 games. Was flawless in 65 total chances with 8 double plays turned... Batted .303 with 10 HR and 45 RBI in Memphis (AAA). Led the team with eight triples, tying the Redbirds single-season franchise record held by Stubby Clapp... Played in 107 games at Memphis scoring 68 runs, had 125 hits and was 20-for-21 in stolen bases attempts... Led all Pacific Coast League second basemen with a .974 fielding percentage, 504 total chances, 195 putouts, 296 assists and games played (102)... Ran off a 15-game hitting streak from 5/6-27, batting .429 (30-70) with 4 HR and 7 RBI during the stretch... Named 2013 Cardinals Minor League Player of the Year... Cardinals organization Minor League Player of the Month for May, batting .375 (39-104) with 4 HR, 8 RBI and 23 runs scored... Rated as the No. 3 prospect in the Cardinals organization by Baseball America... Played in seven post-season games throughout the NLDS, NLCS and World Series...was 1-for-6 with a stolen base in the postseason... lone hit came in the 8th inning of Game 3 of the World Series vs. BOS (10/26)...stole second base (Workman/Saltalamacchia) following his hit, making him the sixth Cardinals rookie to steal a base in the World Series (Pepper Martin, Willie McGee, Lance Johnson, Mike Shannon, Pete Kozma). Hit safely in 94 of 126 games played, and reached base safely in 104 of 126 games...ranked third in the Texas League with 150 hits...ranked among Cardinals minor leaguer leaders in runs (79, 7th), hits (150, T2nd), triples (6, T2nd) and stolen bases (21, 4th)...tallied 45 multi-hit games, nine games of three hits or more and two four-hit games (5/17 at Arkansas & 6/30 vs. Frisco)...named Texas League Player of the Week (5/14-20), batting .452 (14-31) with two home runs and seven RBI. Hit safely in all seven games during the week...compiled a 15-game hitting streak (5/14-31), the second longest on the Springfield... team and seventh longest in the Texas League, batting .343 (23-67) during the streak. Finished the month of May batting .333 (34-102)... selected to the Texas League All-Star North squad as the starting second baseman and went 1-for-2 with a run scored...led Texas League second basemen in games (123), total chances (649), putouts (262), assists (370) and double plays (111)...hit two lead-off home runs (6/10 vs. Arkansas & 7/29 at NW Arkansas)... batted .143 (5-35) with an RBI and two walks in nine Texas League playoff games...batted .324 (24-74) for Surprise in Arizona Fall League, earning selection to AFL Top Prospects Team...rated as the fifth-best prospect in the Cardinals organization for the second consecutive year by Baseball America. Played in 47 games, starting 46 at second base at Quad Cities (A) in his first professional action...Batted .335 (65-194), ranking tops among Cardinals 2011 draft picks...Recorded first professional hit in his first game, going 2-for-2 with a walk, sac fly, hit by pitch and two RBI...Hit first professional home run vs. Kane County (7/4), a solo shot off Yordano Ventura...Drilled three lead-off home runs during the season (7/13 vs. Dayton, 7/31 vs. Kane County and 9/1 vs. Clinton)...Finished the season on a 13-game home hitting streak (T9th MWL), batting .404 (21-52) with 13 runs scored during the streak...Reached base safely in his last 20 home games of the season (.475 OBP/.400 BA)...Had a career day going 4-for-4 with three runs scored and an RBI vs. Clinton (8/31)...Scored three runs twice (6/30 vs. Clinton & 8/31 vs. Clinton)...Recorded 21 multi-hit games out of 47 played, with seven three-hit games and one four-hit game...Reached base safely in 40-of-47 games played with a hit in 36 of those games...Started all seven Midwest League playoff games at second base. Batted .286 (8-28) with triple, four runs scored and an RBI...Went 2-for-3 in deciding Midwest League championship game vs. Lansing (9/17) scoring two runs and recording the game-winning RBI in the second inning...Rated as the fifth-best prospect in the Cardinals organization by Baseball America. September 5, 2018 St. Louis Cardinals activated 2B Kolten Wong from the 10-day injured list. August 28, 2018 St. Louis Cardinals placed 2B Kolten Wong on the 10-day disabled list retroactive to August 26, 2018. Left hamstring strain. August 4, 2018 St. Louis Cardinals activated 2B Kolten Wong from the 10-day disabled list. August 2, 2018 St. Louis Cardinals sent 2B Kolten Wong on a rehab assignment to Peoria Chiefs. July 23, 2018 St. Louis Cardinals placed 2B Kolten Wong on the 10-day disabled list retroactive to July 22, 2018. Left knee inflammation. July 10, 2017 St. Louis Cardinals activated 2B Kolten Wong from the 10-day disabled list. July 5, 2017 St. Louis Cardinals sent 2B Kolten Wong on a rehab assignment to Springfield Cardinals. June 15, 2017 St. Louis Cardinals placed 2B Kolten Wong on the 10-day disabled list. Right tricep strain. June 9, 2017 St. Louis Cardinals activated 2B Kolten Wong from the 10-day disabled list. June 6, 2017 St. Louis Cardinals sent 2B Kolten Wong on a rehab assignment to Peoria Chiefs. May 28, 2017 St. Louis Cardinals placed 2B Kolten Wong on the 10-day disabled list retroactive to May 27, 2017. Left elbow strain. June 17, 2016 St. Louis Cardinals recalled 2B Kolten Wong from Memphis Redbirds. June 6, 2016 St. Louis Cardinals optioned 2B Kolten Wong to Memphis Redbirds. July 6, 2014 Kolten Wong roster status changed by St. Louis Cardinals. July 1, 2014 St. Louis Cardinals sent 2B Kolten Wong on a rehab assignment to Memphis Redbirds. May 14, 2014 St. Louis Cardinals recalled 2B Kolten Wong from Memphis Redbirds. April 28, 2014 St. Louis Cardinals optioned 2B Kolten Wong to Memphis Redbirds. August 16, 2013 St. Louis Cardinals selected the contract of Kolten Wong from Memphis Redbirds. April 1, 2013 Kolten Wong assigned to Memphis Redbirds from Springfield Cardinals. January 28, 2013 St. Louis Cardinals invited non-roster 2B Kolten Wong to spring training. July 9, 2012 Kolten Wong roster status changed by Springfield Cardinals. July 7, 2012 Springfield Cardinals placed 2B Kolten Wong on the temporarily inactive list. March 31, 2012 2B Kolten Wong assigned to Springfield Cardinals from Quad Cities River Bandits. January 18, 2012 St. Louis Cardinals invited non-roster 2B Kolten Wong to spring training. August 28, 2011 Kolten Wong roster status changed by Quad Cities River Bandits. August 12, 2011 Quad Cities River Bandits placed 2B Kolten Wong on the 7-day disabled list retroactive to August 11, 2011. June 27, 2011 2B Kolten Wong assigned to Quad Cities River Bandits from St. Louis Cardinals. June 25, 2011 St. Louis Cardinals signed 2B Kolten Wong.